Now, since I have to produce an article with the notes at the end of the text, that solution does not work. Is there a way to re-adapt the code produced by David Purton to endnotes? I enclose a MWE of the basic endnotes code, obviously without kerning. Does \footcite have a different approach to superscript numbers?
! Illegal parameter number in definition of \l__exp_internal_tl. I realized that the error comes from edition = "2",in the bibliographical record. That is the very reason for the compilation stops! Fortunately, it's straight forward to modify things from my previous answers here and here to work with end notes. 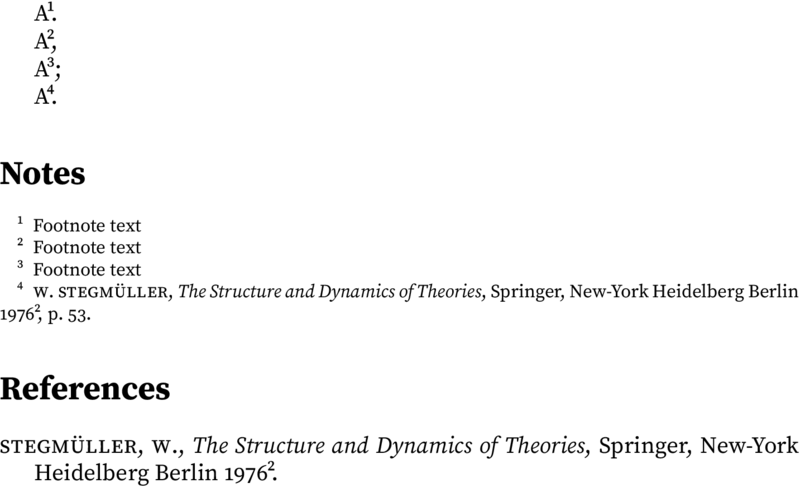 Note that your last update with the example of the edition field in the bibliography entry reveals a weakness in my code. It assumes that the argument to \textsuperscript is fully expandable, but this is not necessarily the case (and isn't the case for \mkbibsuperscript which is used by biblatex-philosophy to format the edition). I've worked around this in the MWE below, but you will run into other problems. Not the answer you're looking for? Browse other questions tagged kerning endnotes or ask your own question.